Naval Dockyard Mumbai Recruitment 2018: The candidates who were waiting eagerly for Apprentice Recruitment with the Naval Dockyard Mumbai can now easily fulfill their desire by applying to the Naval Dockyard Mumbai Recruitment 2018 Online Form. The candidates have to simply follow certain steps and they can easily apply to the Naval Dockyard Apprentice Vacancies. The Naval Dockyard Apprentice Vacancy 2018 is for 318 posts and the candidates need to apply for the application form on or before the last date which is 21st September 2018 through online mode. 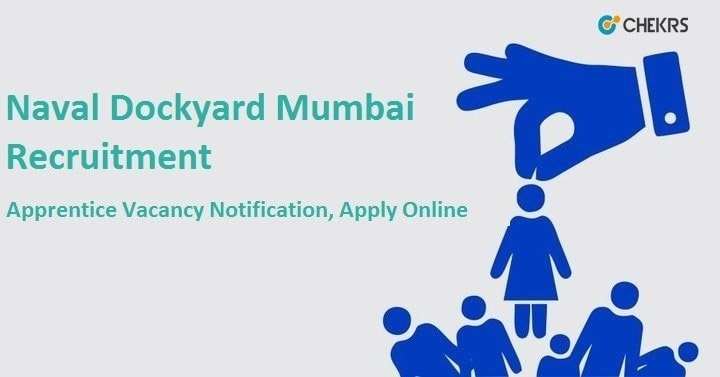 Applicants have to visit the official portal of BhartiSeva. Click on the Click Here for “” Apprentice Training” Link. So the candidates should prepare themselves for this exam accordingly and we will be presented here with the latest information by the board. If you have any questions kindly leave it in the comment box. You can receive more such notifications of the Indian Naval Dockyard Recruitment 2018, trough the jobs.chekrs.com.